Elections due to be announced in less than two months, mahazes (fronts) and alliances of different hues and colours are being formed or reactivated. Some of them are political, others religious or sectarian and some regional. Even the COAS (Chief of Army Staff) General Qamar Javed Bajwa speaking to “notables” at an investiture ceremony in Peshawar the other day declared that engineered protests to reverse the gains of counter terrorism operations will not be tolerated. He was referring to the freshly minted PTM (Pashtun Tahafuz Movement). The so-called movement was originally formed to get justice for the slain young man Naqeebullah Meshud at the hands of the controversial but politically well-connected suspended cop Rao Anwar. But while the COAS was busy addressing the notables extolling sacrifices of the “real heroes” of Pakistan another kind of protest had literally shut down most of the Punjab. The (TLP) Tehreek-e-Labaik had managed to cut off the provincial capital Lahore with almost military precision from the rest of the country. The GT (Grand Trunk) road, the Lahore Islamabad Motorway and Multan Lahore Motorway were shutdown with such alacrity that thousands of commuters were stuck in the middle of nowhere unable to proceed or complete their journeys. The shutdown was only called off once the Punjab government capitulated to the zealots’ demands. As per the new agreement reached between the TLP and the Punjab government, every mosque in the province will be permitted to use four loudspeakers instead of one. Ironically the Punjab government as part of the National Action Plan (NAP) through the Punjab Sound System Regulation Act in 2015 had restricted the use of loudspeakers to only one in a mosque prescribing punishment for violation the law. Now it has suddenly dawned upon the provincial government that numbers do not matter if the perpetrator is bent upon misusing the gadget. What the government has agreed to under duress had already been acceded to during the Faizabad sit-in earlier in the year. Under the previous law the sound system was only meant for imparting of azan, Arabic khutba (sermon) delivered on Fridays or Eid prayers. Besides, the announcement of deaths or lost and found was also allowed. Now under the amended law the TLP stalwarts and its rank and file led by its chief Khadim Hussain Rizvi will be able to spew hatred and their narrow minded agenda unabatedly. This abject surrender by the state at the hands of mob violence has much wider implications. While the Army chief was extolling how terrorism has been successfully banished from the country thanks to the efforts of our soldiers and citizenry, at the same time the Punjab government was busy appeasing the extremists to save its own skin. Now it seems that like the good and the bad Taliban there are two kinds of extremists as well: the good and the bad? Our civilian and the military leadership should take a fresh look at these contradictory policy stands. We must get rid of all strands of extremism rather than cherry picking. It is this one step forward and two steps backwards approach that has perennially plagued our counter terrorism and anti-extremism strategies. The army chief has quite categorically dispelled the impression that the intelligence sleuths were facilitating the Faizabad sit-in. In fact he made the startling admission while talking to media persons recently that had the military not used its influence at the time it would have been the end of the civilian rule. Quite so! That the religious extremists claim to draw some tailwinds from hidden hands within the ubiquitous establishment is a dangerous portent. On the eve of the general elections this does not auger well for the growth of a pluralistic society and unfettered strengthening of democratic institutions. The TLP also plans to contest the general elections; if cleared by the ECP (election commission of Pakistan) they have every right to do so but certainly not by shutting off Pakistan through violence and by employing undemocratic tactics. 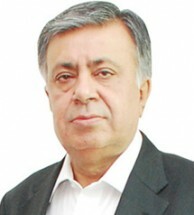 Another entity that has suddenly cropped up is the Junoobi Sooba Mahaz (alliance for a Southern Punjab province). It has for its patron the octogenarian politician from the Dera Ghazi Khan Mir Balkh Sher Mazari. But the real force behind this so-called alliance are turncoat PML-N deserters led by Makhdoom Khusro Bakhtiar. Each time before elections these tumundars, sardars and jagirdars join hands, in the name of improving the lot of the dispossessed of southern Punjab. The not so hidden agenda is to further their own vested interests. Predictably post elections they join hands with whoever is the winner giving them the best deal. The fact that there are as many as 46 seats from the south of Punjab makes it an attractive proposition for them. That is why southern politicians including the PPP’s late Taj Muhammad Langah, late Sardar Farooq Ahmed Leghari in their times, and more recently Makhdoom Ahmed Mehmood have floated the idea of a Southern, Saraiki or Bahawalpur Sooba (province). Soon after the elections the din for a southern province dies down and these migratory birds find a comfortable golden nest in the arms of the ruling party of the day. Hence it is no coincidence that the young Makhdoom during the Musharraf era was serving him as minister of state for foreign affairs. In the outgoing National Assembly he is the chairman of the foreign relations committee. Those coalescing under the banner of the Junoobi Sooba Mahaz will probably run as independents, eventually to sell their souls to the highest bidder. This is an even more attractive proposition in the coming elections as it is being predicted that no party will be able to gain an absolute majority. In such an outcome independents under different banners will have a field day. The trial run of such a strategy for recent senate elections was a huge success. Why not try the same recipe for the general elections? It is obvious that debasing democracy in the name of democracy is going to be the norm in the elections as well as post elections — depending on the results. The powers that be, including the civilian, military and the judiciary should ponder over this contrived phenomenon. Dark clouds are looming over the political horizon, having implications much beyond the minus Sharif formula. But those with a jaundiced vision refuse to read the small print.